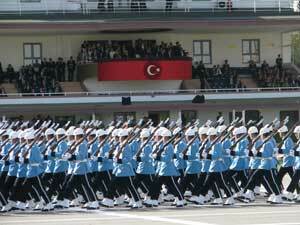 Republic day in Turkey falls on October 29th each year and celebrates the creation of the Turkish Republic back in 1923. People can attend national celebrations throughout the country with flags, musical bands, theater, poetry and traditional Turkish dancing. Many cities will have parades and some will lay wreaths at monuments for Mustafa Kemal Ataturk. This day is a national holiday with government offices and most businesses closed. When the War of Independence ended in 1923, the Turkish Parliament proclaimed the new Turkish state and Republic Day became a holiday.